…your baby’s cloth diaper matches their outfit, but it also matches yours. 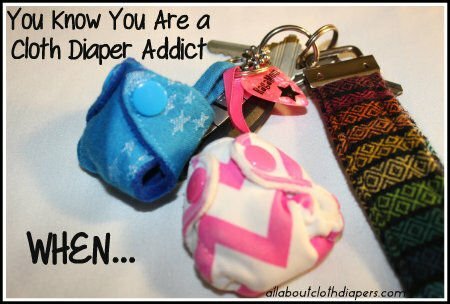 …your key chain has more cloth diaper paraphernalia on it than it does keys. …you don’t leave the house without packing the cutest cloth diaper you own just in case you run into ANYONE you can show it to while out. …you have so many cloth wipes that you could use them for a month and never need to wash any. …you actually look forward to cloth diaper laundry day. …you own every…single…size wet bag of that amazing print. You know the one I mean. The XL bag matches the nursery, the medium bag matches the diaper bag… the snack sized bag matches your purse. It’s an amazing print for a reason! …you want to high five a total stranger when you see that their kid is in cloth diapers. 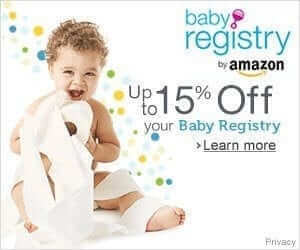 …you have waited impatiently for MONTHS to see what the Black Friday cloth diaper sales will be. …your only trip anywhere NEAR a spa is when you stick your head in the washer after using Mrs. Meyer’s Lavender Fabric Softener on your cloth diapers! …not only does your kid have a cloth diaper shirt…your whole family has matching ones! 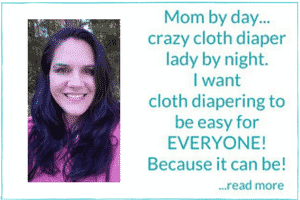 Are YOU a cloth diaper addict? What else can you add to this list? … When your son’s favorite minky matches his bedsheets. … When stuffing pockets late at night relaxes you. … When seeing your kids’ diaper boxes full of freshly cleaned and stacked diaps makes you proud. And lastly… When you start trying to make your own! -you try to convince EVERYONE you know that they should do it also. When I said to my husband the other night I was excited for the day when we had another baby so I could start cloth diapering again, lol! Brandi! Totally. And I’ve heard that from a lot of people before. We can’t help it, we just love our cloth diapers!